As the proud owner of a Honda Civic, you know that regularly scheduled maintenance is the easiest way to make sure that your vehicle continues running smoothly. However, there’s a number of drivers in the Fountain Valley, Costa Mesa, and Newport Beach area who find it hard to keep up with the Honda Civic maintenance schedule. Luckily, our team at the Norm Reeves Honda Huntington Beach is here to help. Below, we’ve provided some general information about the Honda Civic maintenance schedule and important service intervals. However, keep in mind that there are a number of factors that go into determining the types and frequency of maintenance required, so contact our service department if you have any questions. According to the Honda Civic recommended maintenance schedule, drivers should have the tires rotated and replace the engine oil every 7,500 miles. Depending on the conditions you drive in, this interval may be shorter. Approximately every 15,000 miles or 12 months, whichever comes first, you should schedule a service appointment for your Honda Civic. During this appointment, an automotive technician will change the engine oil, rotate the tires, change the cabin air filter, and replace the brake fluid. Other required maintenance items include adjusting the parking brake and a thorough inspection of the cars suspension, exhaust, and cooling systems. Over time, the spark plugs in your vehicle wear down, resulting in decreased performance. That’s why it is suggested to get spark plug services every two years or 30,000 miles. Your Honda technician will inspect the plugs and make replacements or timing adjustments when necessary. New Honda Civic models are now equipped with Honda Maintenance Minder, which helps you keep track of when service is needed and what specific service items are called for. The system works by displaying a code on the multi-information display that the technician can then read and find out what maintenance your Honda Civic needs. Code A: Replace the engine oil. Code B: Replace the engine oil and oil filter. Inspect the brakes and parking brake adjustment. Code 1: Rotate and inspect the tires. Code 2: Inspect the fuel tank and drive belt. Replace the cabin air filter. Code 4: Replace the spark plugs. Although the Maintenance Minder is a great resource, its still recommended that you monitor your Honda Civic maintenance schedule to ensure that your vehicle receives the care it needs. Is your Honda Civic ready for a routine maintenance appointment? 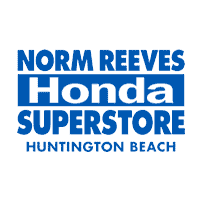 Drivers in the Fountain Valley, Costa Mesa, and Newport Beach area can schedule service at the Norm Reeves Honda Huntington Beach. If you’re still not sure when your Honda might need servicing, contact our service department to speak with one of our automotive professionals.